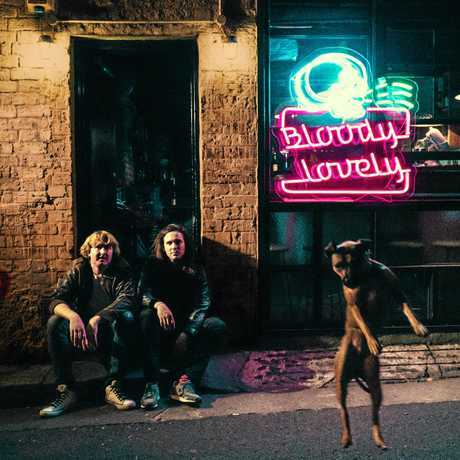 IT'S been a career of milestones for DZ Deathrays and now, Bundy boys Shane Parsons and Simon Ridley are killing the music game even more with their newly released album, Bloody Lovely. The duo have been reaping the rewards of their skyrocketing stardom over the years with round-the-world-tours, music awards and more and have started 2018 off with yet another successful bang. Their new album, released on February 2, has already made it to number one on the ARIA Australian Artist Albums Charts. It's also in at number four on the ARIA Albums Charts, following closely behind the likes of Justin Timberlake and Ed Sheeran. Parsons and Ridley said the album was "pretty much a straight up rock n roll album that doesn't really stop from the get go". "I think some of our favourites from the record are Shred For Summer for its bridge section, Guillotine for its odd time signature and Witchcraft Pt 2 as it's a final moment of guitar heaven, layered with a lot of fun riffs," they said. "We wanted a record that took some of the energy of our live shows and pushed it through in the recordings. "So we made it a bit louder and tiny bit sloppier but really tried to hone in on pop song sensibility." NEW: Bloody Lovely was released earlier this month and has skyrocketed in the ARIA Charts. On their current success in the ARIA Charts, the boys said it was something they could never have imagined. "It's amazing we never thought anything like that would happen to us," they said. "We are very thankful to everyone who purchased a record because we know how hard it is to sell albums these days." Although the boys haven't been based in Bundaberg for a while, it is the place they said kicked off their friendship and music career. "We were friends in Bundaberg and Shane used to come to my parties with his old band to play," Ridley said. "Things really started kicking off for us when we left for Brisbane and we have been making music together ever since." That was back in 2008, and now two albums, awards and countless high-octane shows later, things have certainly changed. "The highlights have definitely been winning a couple of ARIAs, touring the world and all the amazing places we have seen, playing sold-out shows with bands like Foo Fighters and Violent Soho," the duo said. 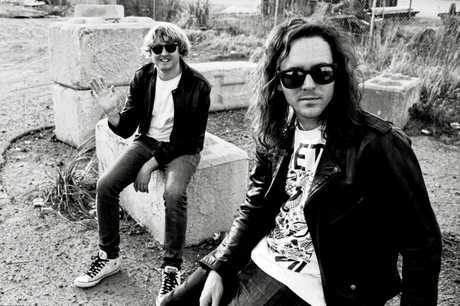 And for those local fans who want to see DZ Deathrays live- they might be back on home turf for a show. "Hold tight we are going to try get a Bundy show to happen this year," they said. 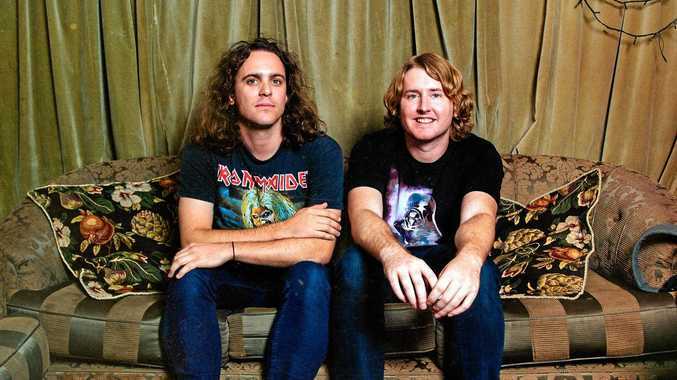 TOP OF CHARTS: Shane Parsons and Simon Ridley of DZ Deathrays. 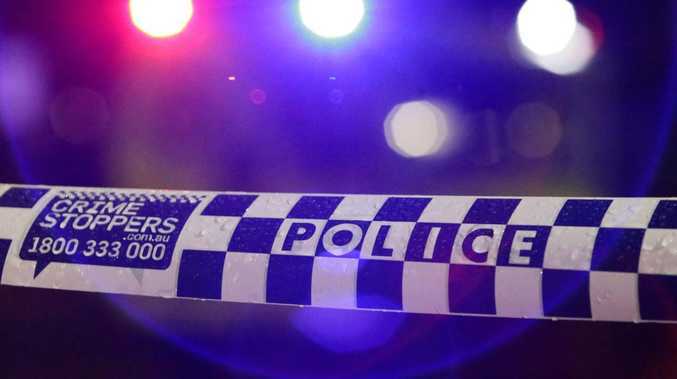 Crime A mother-of-two who used her car as a weapon by driving towards her ex-boyfriend and his female friend has walked free from court on parole.